Good evening. My name is Miral Gabor. I am here tonight to speak to you about Renewal. But first I am going to tell you about myself. 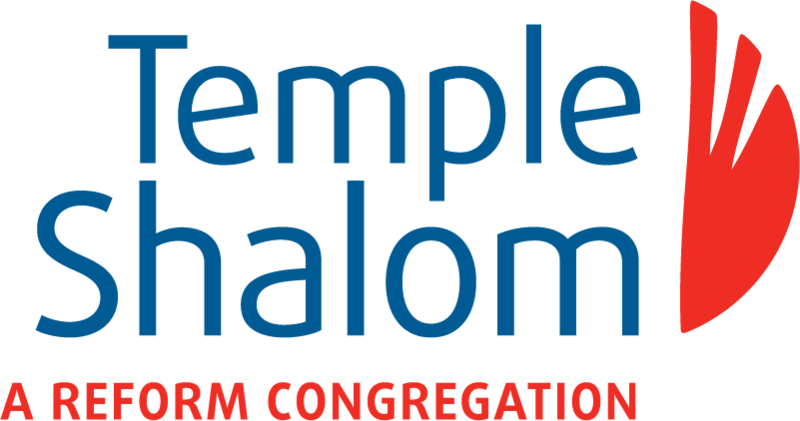 I have been a member of Temple Shalom my whole adult life. My family, my father Philip, mother Lee, sister Seema and our younger brother Saul joined Temple Shalom when I was 16. When we first joined, services were held at the Viscount Gort Hotel. I attended frequently and came to love the services which included understandable English and beautiful music. As a child I had attended Herzlia Academy and Synagogue so the difference between Temple Shalom and those services was quite staggering. When I turned 21, our Rabbi, Eric Silver, asked me how old I was. When I told him, he said that as an adult I should be a member in my own right, so I paid my dues and have been here ever since. I’ve been married to my wonderful husband, Robbie, for 38 years. We have 3 sons, Andrew, Sam, and David. Sam is married to our beautiful daughter-in-law, Katriana. All three boys attended the religious school, now the Irma Penn School of Jewish Learning, and celebrated their bar mitzvot here. On May 9, 2008, I too became a bat mitzvah along with 4 other women, my sister Seema Schachter, our Temple President, Linda Freed, Ruth Livingston and Ariel Lee. It was the first year that Rabbi Karen worked here so we all got to know her. Having a bat mitzvah, especially with such an extraordinary group of women was a wonderful spiritual and learning experience which I will always cherish. Nor will I ever forget Sam and Kat’s wedding which took place here on Feb. 1, 2014. Cantor Len officiated at that beautiful ceremony. Singing in the choir is also a favorite activity of mine and I sang under the direction of Cantor Richard Yaffe and now with Cantor Len and our Choir Director, Janet Goetz. I have always been involved in our Temple. I was the School Board Chair when our present Chair Marc Shaeffer and his sister Tracy attended the school. I edited, folded, and addressed the newsletter in the olden days before computers. I volunteered for countless committees and projects, joined the Board of Directors, eventually became Vice-President, and then became President from 2011 until 2015. You may be asking yourselves why I have been so involved at Temple Shalom. After all I have a family, I was a teacher, and I have many other activities to fill my time. The reason is that I can’t imagine life without Temple Shalom. Coming to services on Friday night is like coming home to a place where I can begin the week with a beautiful service filled with wonderful prayers and music. My fellow congregants who attend our programs and services are good friends. We are a friendly, open Community that accepts everyone. We count on each other through good times and bad. In 1984, we were the first to appoint a female Rabbi in Canada. We were the first Winnipeg congregation to allow burial of interfaith couples in our cemetery (and our own Chevra Kadisha for pre-burial). As President, I experienced both highs and lows. One of the highs occurred in 2011, my first year as President. After a year of preparation, we dedicated the Penn Torah. Irma Penn was the first woman scribe or soferet in Canada. We continue to worship with her stunningly beautiful Torah, Fire and Ice. If you have never seen it up close you must. Just as I mentioned highs points of my Presidency there were also lows. Generally these included structural and plumbing problems, including a mighty flood in 2014. We have redone the roof, the heating and air conditioning to the Sanctuary, the Sanctuary wall, the plumbing for the whole building, and after the flood the lower level including the kitchen and office. But there is still a large segment of the work which remains to be done: the HVAC for the main level and the basement. In the near future we must deal with this major issue. But I did say that this speech is about Renewal. This year we welcome our new Rabbi, Bill Tepper. Rabbi Bill will be joining us once a month and for other special occasions. Here is his CV: Rabbi Bill is an accomplished teacher in the dramatic arts and teacher in all Jewish and synagogue-related activities; a high-achieving student in Rabbinic school; a generous contributor of his time both to the Jewish and to the broader community in many matters including in the area of Social Justice; and when after 8 years there, Rabbi Bill left his Chattanooga synagogue in March 2016 for family reasons, the Mayor of the city proclaimed a “Rabbi Bill Tepper Appreciation Day” We look forward to attending Rabbi Bill’s adult education programs, his Torah studies, and the services he leads, knowing that he is there for us and our children and grandchildren. With Rabbi Bill’s guidance and leadership we will present innovative educational and social action programs, services and classes. Please join us. Another type of Renewal is our new High Holy day Machzors: the gold and silver Michkan Hanefesh. They are a wonderful addition to our services. After Rosh Hashanah our son, Sam, commented to me how much he enjoyed the service because the book was relevant and modern. The old Gates of Awe felt staid and boring, while this Mishkan is exciting and inviting. Our Shabbat mishkan is also full of wonderful readings and ideas and the services can be tailored to the leader. At Temple Shalom we strive to make Judaism relevant to our members, to allow us to worship in both a traditional and modern way. The crux of our being is to be a spiritual, holy place. I was thrilled that the second Aliyah on Rosh Hashonah morning was devoted to new members. You are so welcome here, and I am always happy to see new faces grace our halls. I would like to thank everyone for attending these High Holy Day services. To those of you who are not members you have honored us with your presence and your friendship. Please take the next step and join us. Temple Shalom is a special place. In order to ensure its viability, Temple Shalom needs your help. Each year your generous donations help pay our Clergy and Staff, heat the building and pay the mortgage. Our ushers will be distributing pledge forms. We ask for your commitment to our future. We ask you to be generous and contribute to the future of Reform Judaism in Winnipeg. Your pledge must be more than simply giving a visa number, it must be more than giving to an arts or cultural or other group. Each of you has different financial circumstances so I ask that your contribution be as generous as it can be … and a little bit more. Give meaning to your contribution as it will determine the level of spiritual and other services we can provide to you, your family and your family’s family over the next year and coming years.